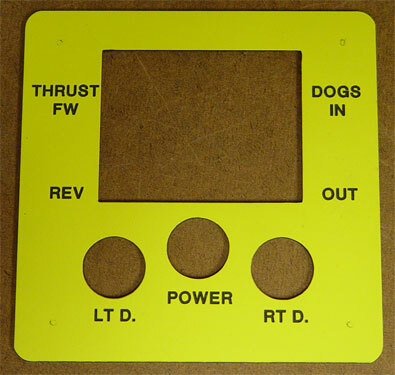 Industrial engraving covers covers pushbutton legend plates, which are mounted behind the pushbutton trim ring and display the function of the existing pushbutton. 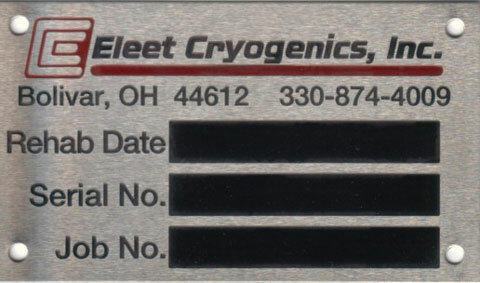 We engrave many of the standard legends from manufacturers such as Square-D, Allen-Bradley, Furnas, etc. We supply these in a custom format as well, giving you not only the specific text you need, but the shape as well. 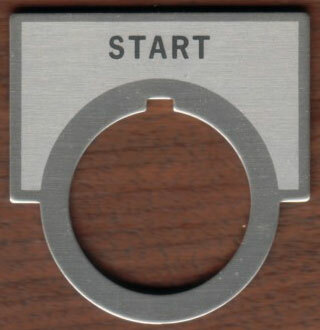 And this of course opens the door to our industrial data plates as well, made of aluminum or stainless. 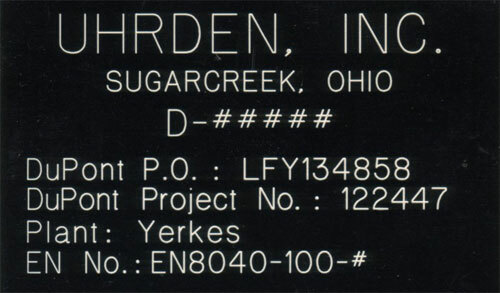 The industrial plate would typically indicate something specific about the equipment being mounted onto, such as serial number, date manufactured, where and by whom. 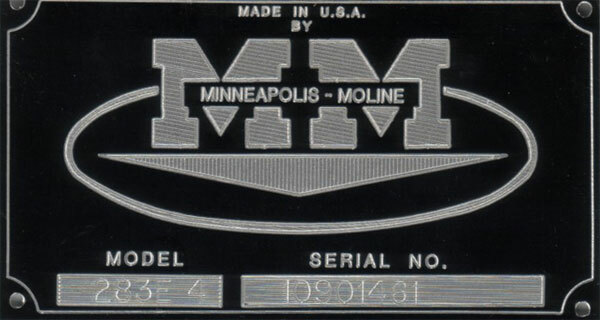 M & K Industrial Engraving Disclaimer: We have provided this web site for informational purposes only about our industrial engraving. Although we have tried to provide the most current and accurate information, our industrial engraving product line and prices are subject to change.